And Kytka you are one of those angels!!! You are a power house shaker, you are truly an inspiration to all of us….you never cease to amaze me with all your talents, skills,energy, and above all LOVE for what you do and you do so much with such passion!!! I follow in your steps as often as the shoe fits…and in your case those are some great shoes!! !..much love to you always …. Dear Kytka, I’ve been sensitive to emotions/energies ever since I can remember and what you experienced is something that very well could have been my own story. Sometimes I speak out but no one can usually understand me because I feel so deeply and the tears come and muffle my message. I’ve gone through numb times, though, and to tell you the truth–it’s much better to feel no matter how much it hurts. It is cleansing in a way. Your bewilderment, rage, and sadness at what happened was felt by all who are similar and connected. It is through this feeling that together we will all one day be strong enough to help those who have lost contact with their inner selves–the part that is connected to everyone and everything. Sending love and light your way — Wendi (who is always very inspired by your words and thankful that you share). Here you have been in front of me all this time and for some reason I chose today to finally visit your web sites! You are certainly an inspiration to this mother. Here I am, having one of those days when I could just scream and walk away and there you are, just as I needed to read something, making me remember that it isn’t all about ME! I read your story, who you are and how you have changed and I feel this bond with you suddenly and I don’t even know you. I am probably where you were 5 or even 8 or 10 years ago. 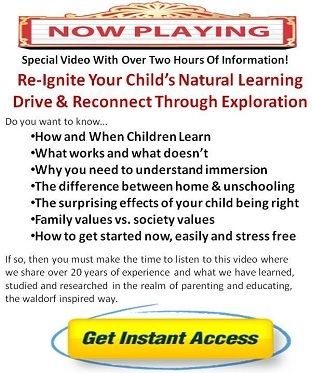 I am the mother of 3 young children, doing the Waldorf home schooling thing, living as simply as I can. I have this loving husband, who tries… but I know his heart just isn’t in the simplicity like mine is, we often clash on ideas and I find myself trying to meet us all in the middle. We have spent much of our marriage trying to figure out how to make more money, and now here I am trying to figure out how we can live on less so he can be home with us, so we can not be this stereotypical upper middle class family. He clings to what he knows (mainstream docs, big house, big cars) and I sit here wanting the opposite. I am studying to be a lay midwife and hope to start apprenticing soon, I am also studying classical homeopathy and would love to run a homeopathic midwifery practice someday soon. I too am a minister, and honestly without the Goddess to keep me going some days I would just fall apart (again, remembering it’s not all about me! lol) Sorry for the bantering… I guess I have just needed to get that out for a while and I felt like you perhaps were a safe person to do that with. So… how do I go about this better? I a veg., mostly vegan actually, I still buy leather goods, etc., but try to be better in my choices. I loved your wish list on the site! Sounds a lot like my holiday list, no characters, no Barbie, etc. lol…. still trying to get my mother to realize it’s not just the body image thing, it’s the plastic, the garbage that goes with Barbie…. lalalala. Now here I am wondering if I can help you at all. My husband does work for a fairly environmentally friendly company, and we get free products monthly. It’s almost always more than we can use. So, how do you feel about tea tree oil? Can you use their personal hygiene products? soap, toothpaste, some of their cleaning stuff? also, they have vitamins, etc. I would be happy to prepare a box to send you if you can use it. Just let me know. I must say again…. you were there for me today like I need you to be, even if you didn’t know it. You have made me remember why I do this, it’s not just for me, it’s for them. Thank you! -M.
My name is Laura I live in AZ now, I just moved from Largo FL. I wish I knew you then. Thank you so much for the Steiner and Vegetarian info. I’m going through a challenge at my charter Waldorf right now on this topic. They asked me to show how eating animals and the Waldorf principles or philosophy, contradict each other. So first I have to find where Steiner himself promotes vegetarianism right? If you could recommend a book that would be a great resource for me. I will be getting out a love offering to you!! Blessings, -Laura, a fellow raw foodist!! Kytka, I took a quick look at it while I had some free time. Very nice. I absolutely love the images you have there. Friendly, soft and caring. Since you mentioned that you were the webmistress, let me be the first to tell you that you have done a wonderful job with the site and should be proud of your work. I would like to have a link added on the home school resource listing we have here at ComplxMinds. I wish you the best of luck. ~Anthony Kuhn, Chairman and Founder, ComplxMinds, Where Great Minds Come to Converse. Dear Webmaster,I would like to congratulate you on your recent approval for the ComplxMinds Award. I wish you the best of luck with your graphic / artistic endeavors. (X) The website has demonstrated expertise in basic web design mastery by representation, thus providing eye-catching content. This is determined by the webmaster displaying easy to use navigational tools, overall content of the website, and the purpose of the site is easily recognized. (X) The website has included exceptional graphics, artistry or literary pieces such as poetry or personal works of biographies and books/novels written by the author and/or software for others to enjoy so that they may create and display their own style of works. 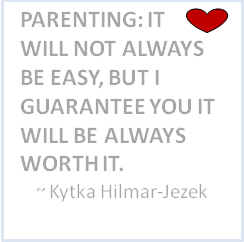 Hi Kytka, I just wanted to tell you how proud I feel for you and what you are achieving.